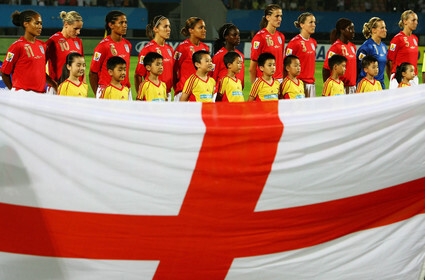 Pies presents a Snapshot special to celebrate England’s 6-1 thrashing of Argentina in the Women’s World Cup. Our plucky girls have yet to taste defeat in the tournament â€“ today’s win against Argentina followed draws with Japan and favourites Germany â€“ but they face a very tough quarter-final showdown against the winners of Group B, which will almost certainly be the United States. That said, the might of Germany couldn’t score against us, so who knows how far they could go. 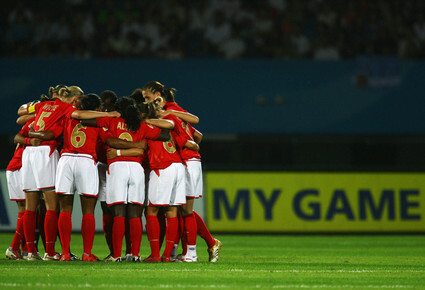 My hometown is to be one of seven (Saint Louis) in a US pro women’s team coming up in 2009. I hope these players don’t sign long-term contracts. The women’s game is great. One reason is that very tall women athletes are scooped up by the WNBA. This reduces the number of zero goal team performances. Too bad the Mens side couldn’t thrash your bloody arses the way the Gals certainly will. It’s nice that you referred to the women’s team as ‘us’.